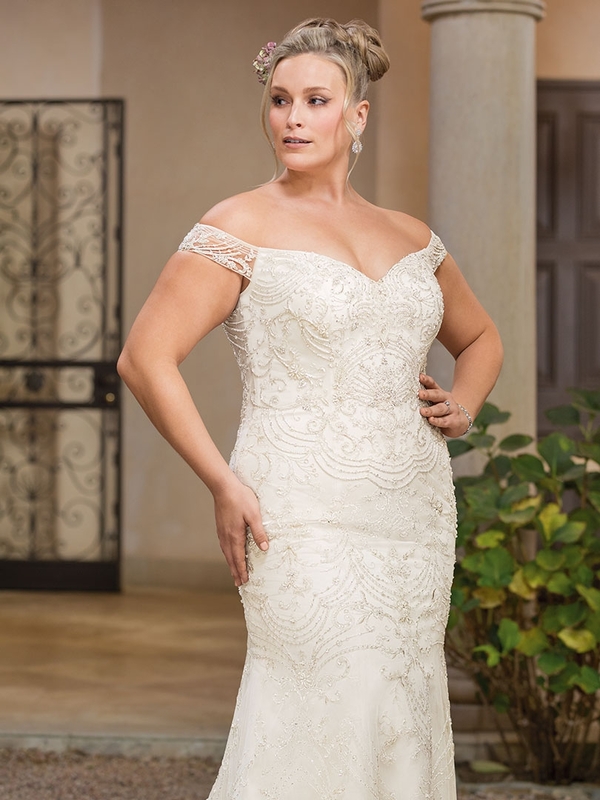 Upscale but unfussy, Bianca is an ornately beaded gown featuring a gorgeous web of intricate chandelier beading over a silky satin fit and flare base. The sweetheart neckline melts into an off-shoulder strap, before showcasing the truly stunning beadwork across an illusion back. 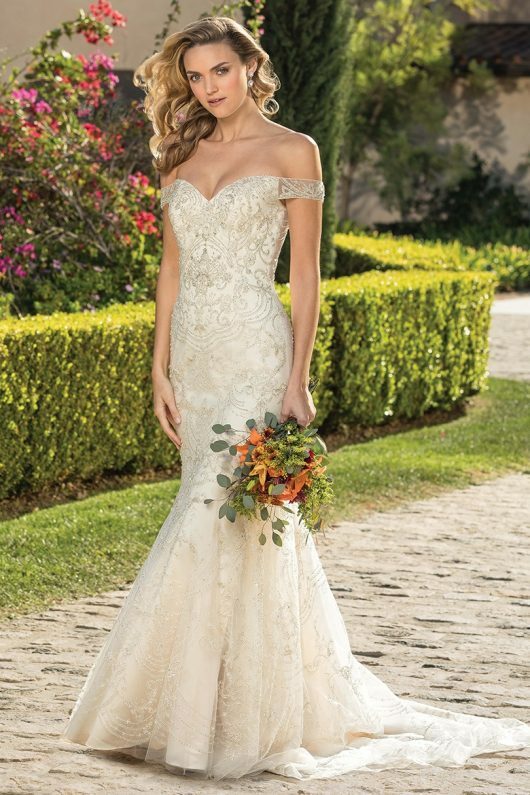 This beadwork is admired through the semi-cathedral length train, where the beaded tulle extends past the satin lining for the perfect finish. 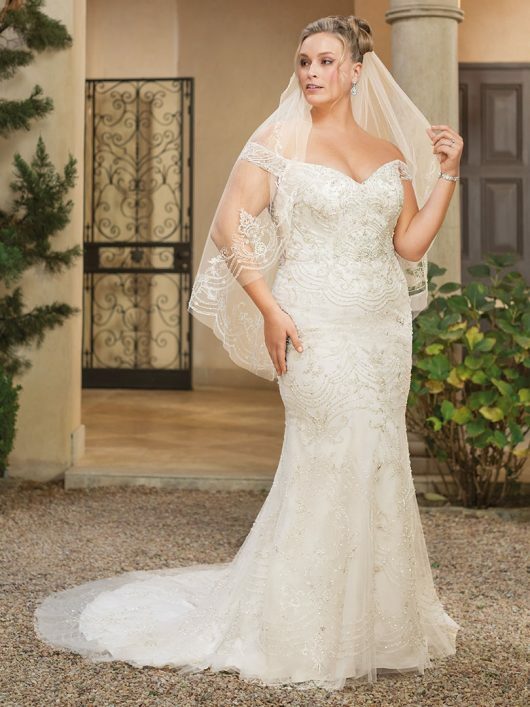 Appointments are REQUIRED for trying on gowns!